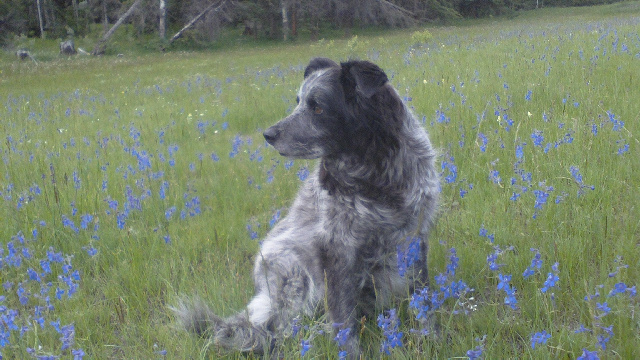 Our dear Grizz came to us during a difficult time of our lives. While driving by the SPCA it came to me that today was the day to go in and get a new dog. The pull was strong, so in we went. Grizz was in a pen talking as fast as he could, there was an instant connection with my husband and he said “What about this one? He’ll do.” So started our life together, and what a good life it was. Grizz’ very first job was to look after the girls camping up the river. When we went to check he came running around the corner, across the bridge with his hackles up. He was on guard! That turned to a toothy grin and that grizzly head shake when he saw it was us. Hence the name. Looking after everyone when Dad was away remained his biggest job. He was a smart fellow who could almost talk. His dad came home and asked “Where is Mum?” Grizz ran to the answering machine and barked. I had called and left a message. He would point his nose to tell us what it was he wanted, and if we didn’t figure it out, he would pull us over to it. His favourite thing to do was go with his dad in the truck, anywhere, even if it was just to the back yard. Once he even got to go to work with Dad. 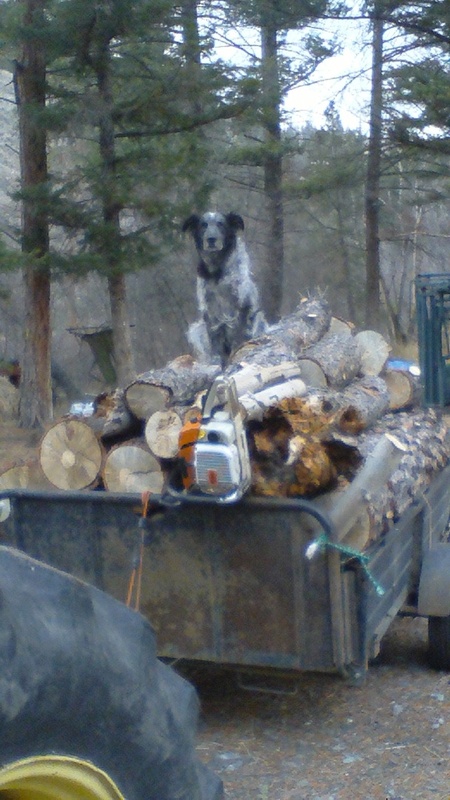 He loved to go hunting- never barked at the wrong time. Once he even used his nose to push the gun towards his Dad when saw a deer and nothing was happening. Fishing and cutting wood were high on the list as well. 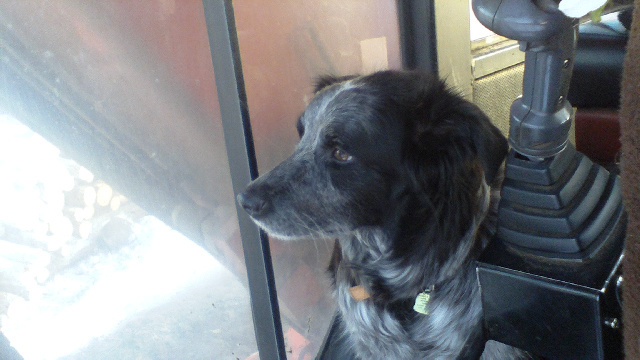 He was always proud of his job feeding the cows, being the gate man and keeping those pesky critters away from the hay and Dad until Dad said it was OK.
Grizz – Grizzabeth -Grizzwald, you helped us heal, you made us laugh, you loved us all and we love you still. We miss you more than I thought possible. The house is quiet without you. Thank-you for being our friend. I am sorry you were hurting. Now the pain is gone, you can run with Sassy again and meet the rest of the crew. Wait for us dear one. We will see you again. Chris.